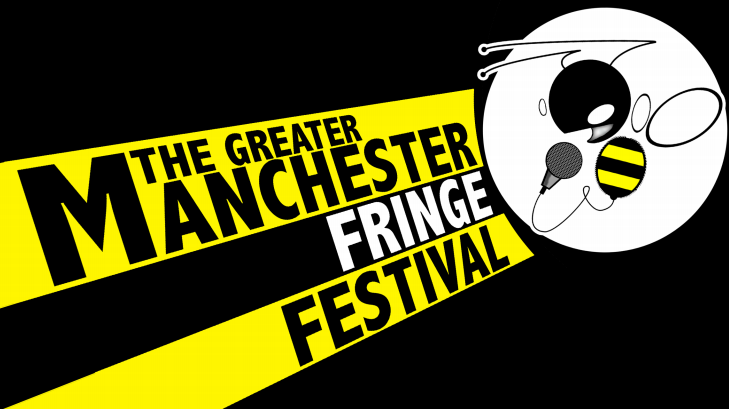 The Greater Manchester Fringe is back for its third year in July and is looking for writers, artists, comedians, musicians, producers and event organisers to put on shows. Eighteen venues around Greater Manchester participated in 2013, hosting more than 200 events, from innovative art exhibitions to award-winning plays and comedians. Big names mixed with new talent trying something out for the first time. This year is no exception as scientist Rosalind Franklin’s innovative experimental work on the structure of DNA is celebrated in Rob Johnston’s play An Extraordinary Light on July 17 and 18 at Taurus Bar on Canal Street, Manchester. Franklin helped Francis Crick and James Watson win a Nobel Prize yet her contribution went unrecognised for decades. Writer Rob Johnston won of The 2011 Kings Cross Award for New Writing for last year’s critically acclaimed fringe play Einstein’s Daughter. Comedian Phill Jupitus (Never Mind the Buzzcocks) is returning as Porky the Poet with two brand new shows Shrinking Progress and Juplicity on July 8 and 9 at the King’s Arms in Salford – and tickets are already selling fast. Life Cycle, presented by Sticks Theatre at the Swan Inn in Saddleworth, celebrates this summer’s Tour de France in Yorkshire by using verbatim interviews with high profile cyclists to create a physical journey of a lone cyclist’s past, and live music using bike parts as instruments. Greater Manchester Fringe is not organised by a corporate body, it instead has grass roots performers and venues organising their own summer festival, just without the mud. Festival directors Lisa Connor, Zena Barrie and Iain Scott give their time for free to coordinate it all and make it happen. This isn’t the first festival Zena has been involved with. Zena worked at The Edinburgh Fringe, in one guise or another for 11 years, from street performing to running box offices, then running venues to producing Perrier winning comedy shows. She later went on to launch the Camden Fringe in 2006, now well established as London’s alternative to the Edinburgh Fringe, with more than 700 performances and 20,000 tickets sold in 37 different countries. Venues participating in Greater Manchester Fringe July 2014 include 3MT, Apotheca, Band on the Wall, Briton’s Protection, Castle Hotel, Eagle Inn, Fab Café, Frog and Bucket, Gulliver’s, Hatters Hostel, King’s Arms, KRAAK, Lower Kersal Social Club, Nexus Art Café, O’Shea’s, Retro Bar, Salford Arms, Satan’s Hollow, Sunshine Studios, Swan Inn, Taurus, Tiger Lounge and TV21. Lisa said: “In 2012 Greater Manchester Fringe started with eight venues and has now grown to 23, and is still expanding. Last year we hosted over 200 shows bringing in an extra 2,500 customers into the participating venues throughout July. “We have to raise a small amount of funds to cover costs. However involvement in the GMFringe doesn’t break the bank. Registration is only £10, whether a show is on for one day or 31 days, and for that new writers and artists get the extra push of publicity in our brochure, press releases, social media and website blog to promote their shows. “The registered venues are all unique, enabling local talent to host new events without the financial risks. Established stars can also try out their new shows before going to Camden and Edinburgh Fringe. We are part of a growing fringe circuit. Last year’s successes included Norris and Parker’s show All Our Friends Are Dead, which moved onto the Camden and Edinburgh Fringe, and was selected for RE:Play Festival, playing to sold out audiences. New Dawn Fades: The Story of Joy Division, a new play by Brian Gorman, sold out last year’s Greater Manchester Fringe and is now going on a UK tour. Whilst Life, written and performed by Carly Tarett, moved on to the Oldham Coliseum in May, as part of the First Break New Writing Festival. Keep your eyes here on The Fiction Stroker for previews of upcoming shows in the near future.